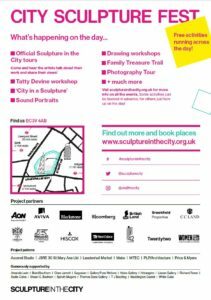 Now in its eighth year, Sculpture in the City is an annual urban sculpture park sited in the City of London EC3 area, around the iconic towers of the ‘Cheese Grater’, ‘Gherkin’ and the Lloyds Building, with contemporary works from internationally renowned artists. 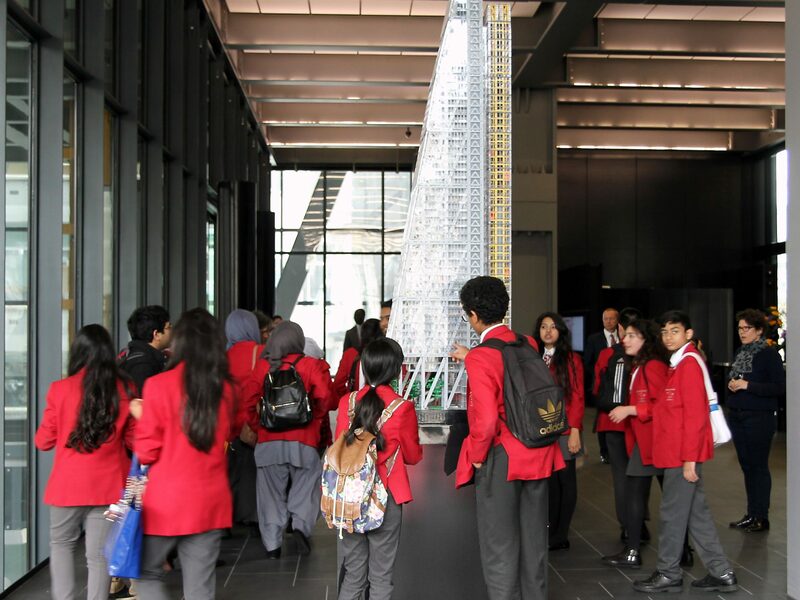 The project is delivered by The City of London Corporation in partnership with high profile local businesses. 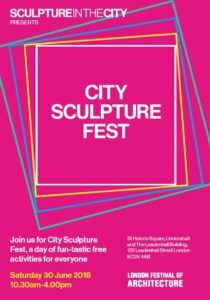 A series of 4 workshops for 9 local state schools from neighbouring boroughs to the City (both primary and secondary) that explore and creatively respond to the public spaces before and after the sculpture installation.